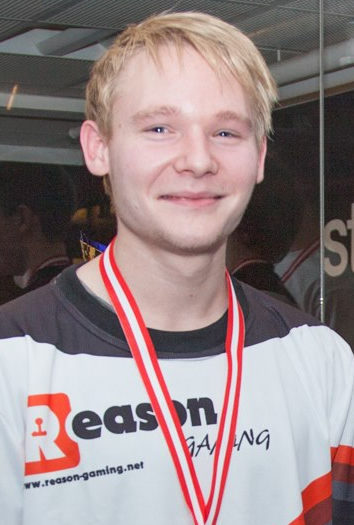 The past weekend, the second Nordic qualifier for this years EMS One Katowice played off, and with Finn “karrigan” Andersen as the substitute for Mathias “MSL” Lauridsen. First match was against the Norwegians from delikat! – the match went quick and ended 16:0 in favour of Reason Gaming, and our CS:GO team was ready for the next match. Next up was another Danish sided team, – underdogss – with several well-known players such as Nille, muffeb etc. The map was set to be de_dust2, and Reason went ahead getting several rounds without a loss – underdogss managed to get themselves 7 rounds, but in the end it didn’t matter – Reason Gaming won 16-7. In the quarter final Reason meetup with the newly assigned H2k Gaming, a match where Reason Gaming was big favorites to win it – but this match needed every single map it could get, and even overtime on de_train. First map was de_inferno, Reason lost the kniferound meaning a quick teamswap. – H2k as CT and Reason as the terrorists. Reason couldn’t catch H2k, and they only managed to get 3 rounds in the first half, making it a 12-3 lead for H2k. H2k didn’t take it easy at all, and taking the first map 16:3 against a underpowered Reason team. After a quick break, de_train was loaded up. Here Reason Gaming could really follow H2k, and with an amazing game from coloN on the AWP – the first half ended 11-4 in favour of Reason Gaming. But sadly, the team couldn’t handle the pressure, H2k got too many rounds and second half ended 15:15 – meaning de_train was going into overtime, but then the boys managed to take the Norwegian crew down and took de_train home as a victory with the scoreline of 21:16! It was tie, and both teams needed a win to go through to the semi-final – the third map was de_nuke. Reason started as CT and destroyed H2k with the scoreline 12:3 – sadly, Reason only managed to take home another two rounds – meaning that the final map ends 16:14 in favour of H2k Gaming. H2k Gaming won the match 2:1, and will continue the journey towards EMS One Katowice!